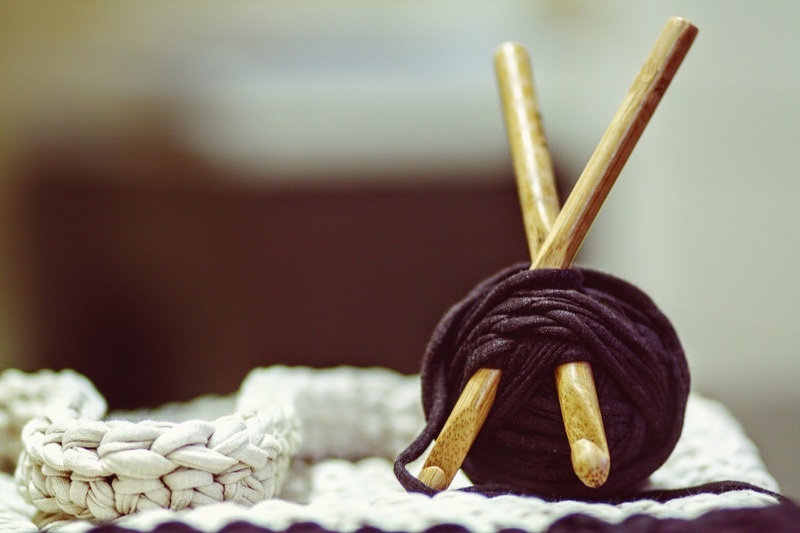 Crafting is one of the most prevalent hobbies amongst people (mostly women) in the UK and US, whether you’re upcycling, crocheting, or baking, the act of making something just excites people and makes them happy. Even we have caught the crafting bug with our monthly #DIYBlogChallenge. Yet when it comes to your crafting materials, can you honestly say that you look after them as well as you should? Even if you’re not using your hobby to make money, you’re still making things for yourself and others, all while trying to save yourself some money where you can. And not looking after your tools and materials will just cost you more in the long run, and can potentially harm the giftees of your projects. Storing your things might seem a simple thing to think about, you can get a box or bag and leave it at that right? Not necessarily. By stuffing your things in a small container, you run the risk of tearing or damaging your materials. Where a small-scale crafting project might be fine in a small container, as your craft-base grows, so should your storage space. A lot of people use garages or basements as their storage space, and where they make perfect sense as they are out of the way and rooms that aren’t frequented as much, they also present problems. Some materials don’t react well to the cold, as you might find in these unheated areas, and so will damage them. As would any damp that can creep in. Making anything from materials affected by damp – particularly anything with fabric – can cause harm to a person. Imagine giving a blanket to a baby that has black mold spores living in it. Keep any liquids, such as glue or paint, properly sealed and away from any fabrics or materials that could be stained by any leaks. These products should also be kept out of reach of children, and away from any potential fire hazards. Have separate spaces for current and finished projects – this will help you to see what you still have to work on. You can use specially designed craft cases, arrange a case of boxes or drawers for your use, or dedicate a room as your hobby room. Whichever you choose, make sure that you invest in quality containers (waterproof if need be) the same as you would invest in your materials. Cleaning your materials and tools is a must. The old saying ‘a worker is only as good as his tools’ is certainly relevant here. A master painter wouldn’t paint with a dirty brush, so neither should you. Keeping your tools clean will enable you to make better quality items, and will save you money as you won’t have to replace them all the time. If you’re washing fabric, use an allergen-free washing powder just in case, and if you think there’s any chance of damp being present after washing, don’t use that fabric. We all know that crafting can get messy; paint and glue splatters, bits of thread and cutoffs everywhere, beads and clasps rolling all over the floor. But getting into the habit of putting everything away, neatly, will ensure that your workspace or home stays clean, tidy, and clutter free. When you’re taking materials or projects anywhere, you want to make sure that they don’t get damaged on the way. You’ve spent hours working on it – it’s sod’s law that something will happen to it once it’s all finished. When moving smaller items, like jewellery, you can use plastic bags like the ones spare buttons come in on new clothes. Or you can upgrade to little drawstring bags for gifts or a fancy touch. If you’re moving larger, multiple, or delicate items, you might want to think about investing in some die-cut foam to protect them in whatever container you choose to move them in. This also helps to separate items and to keep things from tangling. If you’re shipping items, make sure you’re not just going for the cheapest option available, and use the right packaging. You might think a larger box is over-kill, but when you fill it with the protective wrapping – it might be just what you project needs to make it there safely. Healthy transformation : inspiring story of my friends’ weight loss. Totally agree with this post. Having a craft closet will make an organizing job much easier.